This is one of most common discount offered by many online stores. This encourages the customer to purchase a second since he gets a discount. So you end up selling two products instead of 1. 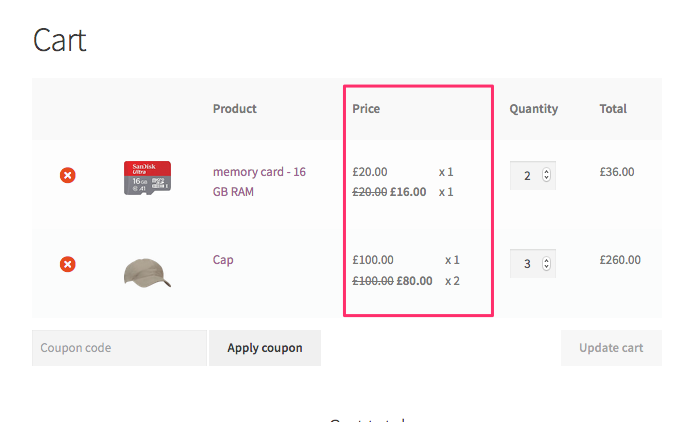 I have configured this discount to apply for "All Products" in the store. IMPORTANT: The checkbox "should NOT be" checked to count quantities cumulatively. 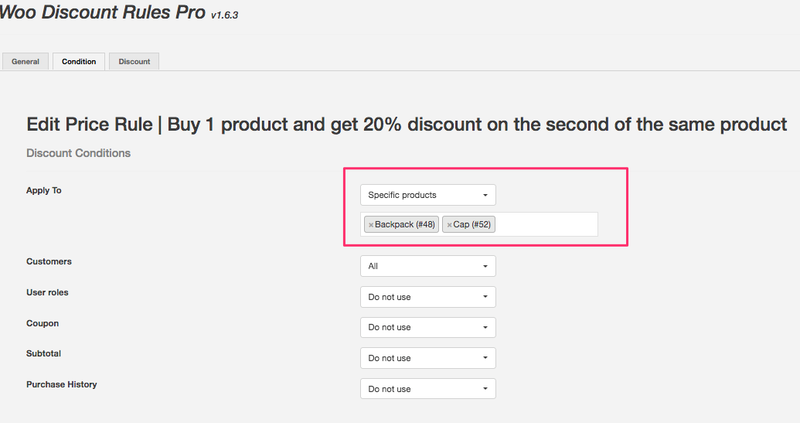 The customer should get 20% off starting from the second quantity of the same product. 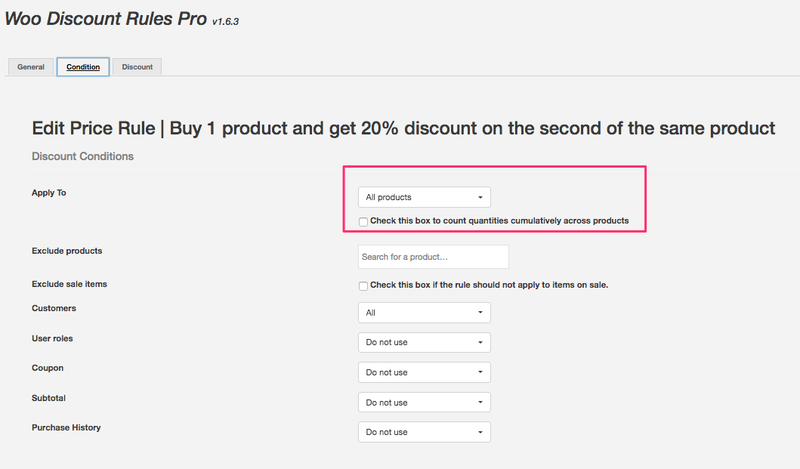 If the customer purchases 3 quantities, he should get 20% as well on 2 products (Notice the Free quantity field). If 4, then he gets 20% for 3 quantites. Like it? Start offering this discount in your WooCommerce online store today. 1. How to offer this discount only for a few specific products ? Simple. In the conditions tab, please choose the Apply TO as "Specific Products"